Rishabh Pant's form is a healthy headache for India who are contemplating playing the 21-year-old wicketkeeper as a specialist batsman at this year's World Cup in England. The Twenty20 series in New Zealand illustrated India's enviable problem behind the stumps, with MS Dhoni keeping while fellow glovemen Dinesh Karthik and Pant played as batsmen only. Even though his batting prowess has been on the wane, Dhoni's sharp glovework makes him India's first-choice wicketkeeper in limited-overs cricket, while Karthik seems to have transformed himself into a fluent lower-order batsman who can also float in the order. 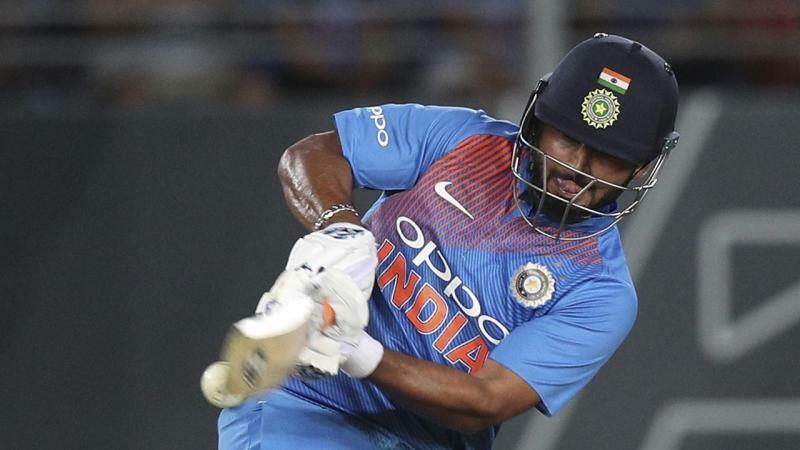 Pant has played only three ODIs but his six-hitting prowess and stellar performance in India's breakthrough Test series victory in Australia make him difficult to ignore, as India chase their third 50-over World Cup title. "Undoubtedly, he (Pant) is in contention," chief selector MSK Prasad told ESPNcricinfo. "A healthy headache - the progression of Rishabh in the last one year is phenomenal across the formats. Allrounder Vijay Shankar also gave a good account of himself in the one-day and T20 series in New Zealand to stake his claim to be part of the 20-player pool from which India would pick their final 15. "In whatever opportunities he has got, Vijay Shankar has shown the skill sets required at this level," Prasad said of the 28-year-old middle-order batsman who bowls medium pace. India begin their World Cup campaign on June 5 against South Africa in Southampton.